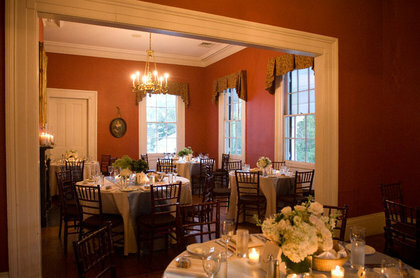 The Wickliffe House is operated by Mediterra Catering. 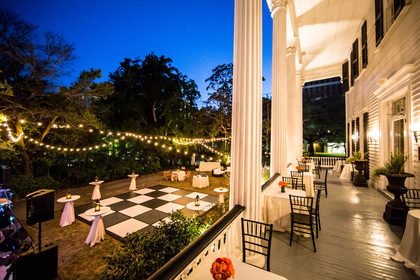 Mediterra has over 14 years of experience catering parties in the Greater Charleston area. 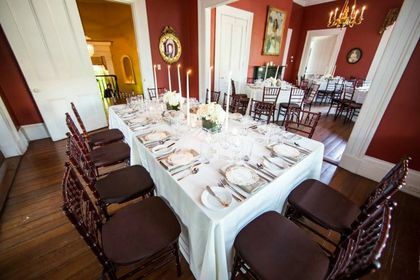 The Wickliffe House is a magnificent 5000 square foot Charleston town home located in Radcliffboro, a historic downtown neighborhood just steps away from the Medical University of South Carolina. 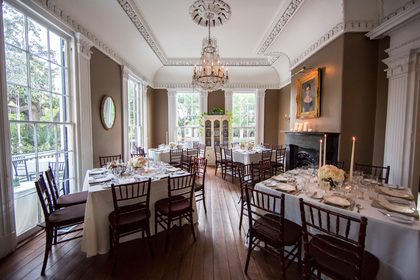 Perfect for weddings, corporate events and social galas, the mansion is an eclectic mix of elegant interior, traditional wide piazza and adjacent lawn. 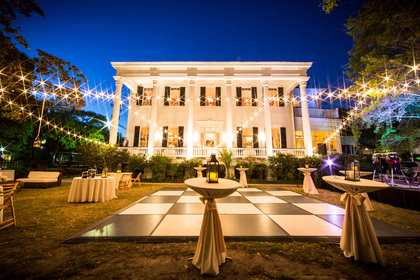 Accommodating up to 160 guests for a sit-down dinner and 300 guests for a cocktail reception, this outstanding Greek Revival mansion was built in 1850 by John Hume Lucas, a wealthy planter. The columns of the front portico and the giant order columns of the piazza have Tower of the Winds capitals, a form of Greek Corinthian which was very popular with Charleston architects and builders. The house’s interior boasts rich plasterwork and woodwork of the period. The house was donated by Miss Margaret Wickliffe of West Union, S.C., to the Health Sciences Foundation of the Medical University of South Carolina, and restored in 1977 as the faculty house. 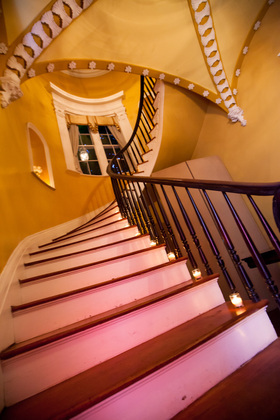 The Wickliffe house was great, They were very detailed and made sure everything went smoothly. 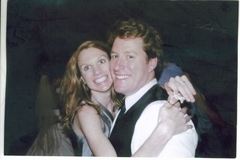 There were always helpful and responsive and got back to me right away with all my questions. Everyone loved the food and the venue. 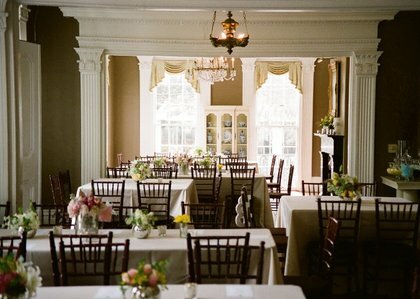 The staff of the Wickliffe House/Mediterra Catering were wonderful! 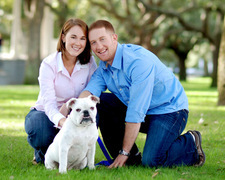 They were very responsive and great to work with. The food was amazing and our guests are still talking about the shrimp and grits. The ceremony was held outside on the front lawn and we went directly across the street for our pictures afterwards. The brick walls, beatiful trees and the WH were a beautiful background. 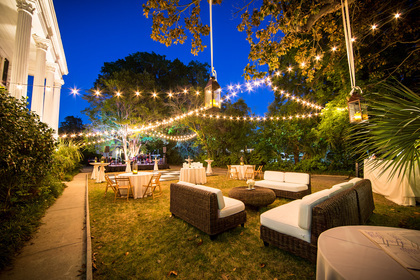 The staff at the Wickliffe House (Mediterra Catering) did a fantastic job with the set up of our ceremony and reception. They were very willing and able to help and make the day special for us. The food was absolutely fantastic. 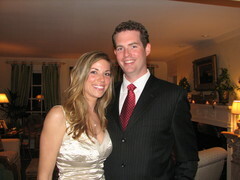 I highly recommend Mediterra Catering for any event in the Charleston area. 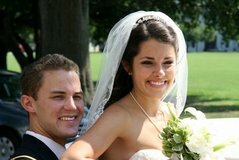 They were very easy to work with and did everything exactly as we had planned.